Mary Sue Black McClain passed away after a long battle with dementia on Wednesday evening, April 3, 2019, at the age of 83 years. Mary was born on the 11th of July, 1935, in Fort Smith, Arkansas. She was the eldest of three children of Charles and Patsy (Yaden) Black. Mary and her family moved to Tulsa when she was 12. She was a proud member of the Daniel Webster High School Class of 1953. In 1956 she married Jerry McClain, of Ft. Smith, and they settled in Tulsa. Prior to working 20 years as a secretary at Jane Addams Elementary School in Tulsa, she was a teacher’s aide at Pleasant Porter Elementary School, where her children, Suzanne and Ted, attended. In her off hours, she was a recognized name in the community as an accomplished seamstress. 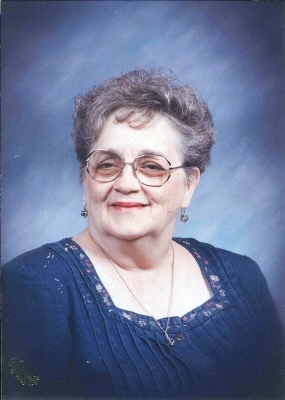 She was an active member of Red Fork Baptist Church for most of her life. She taught many children over the years about the love of Christ in 3rd Grade Sunday School and children’s mission groups. Children, especially her own grandchildren--Katie, Ian, Taryn and Skylar-- brought her great joy. Mary was a devoted daughter, loving wife, and adoring mother and grandmother. She loved her grandkids beyond measure. She is preceded in death by her husband, Jerry, and parents. Mary is survived by: her daughter Suzanne Johnson and her husband Bruce, of Tulsa; her son Ted, of Tulsa, and his girlfriend Jana Latourette; brothers, Robert (Susan) Black and Jim (Jane) Black; her grandchildren, Katie Carpenter and her husband Taylor, Ian Johnson, Taryn McClain, and Skylar McClain, all of Tulsa. A memorial service will be held at 2:00 pm, Tuesday, April 16, 2019, at Red Fork Baptist Church, 2821 W. 40th Street, Tulsa, OK 74107, with Pastor David Nunn officiating. Arrangements are entrusted to Schaudt Tulsa Funeral Service. Family and friends may send memories and condolences to the family online at www.schaudtfuneralservice.com. To send flowers or a remembrance gift to the family of Mary S. McClain, please visit our Tribute Store. "Email Address" would like to share the life celebration of Mary S. McClain. Click on the "link" to go to share a favorite memory or leave a condolence message for the family.